Divine Mother Crystal Singing Bowls - A facilitator of enlightenment and ascension of human consciousness into awakened Divine Love in action, the Divine Mother guides us to claim our divinity now and translate that divine perfection through the temporary physical. 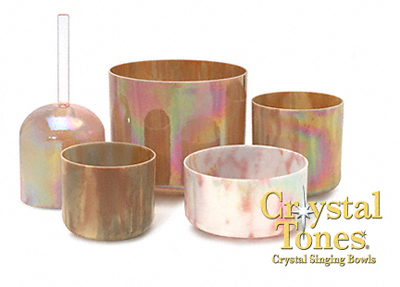 Listen to the sound made by Divine Mother Alchemy Crystal Singing Bowls. Please note that these samples were recorded in a professional sound studio. Due to wide variations in the bowls, sound recordings and other variables, your bowl may not sound similar.